Could 3 people from Massachusetts really run for president? 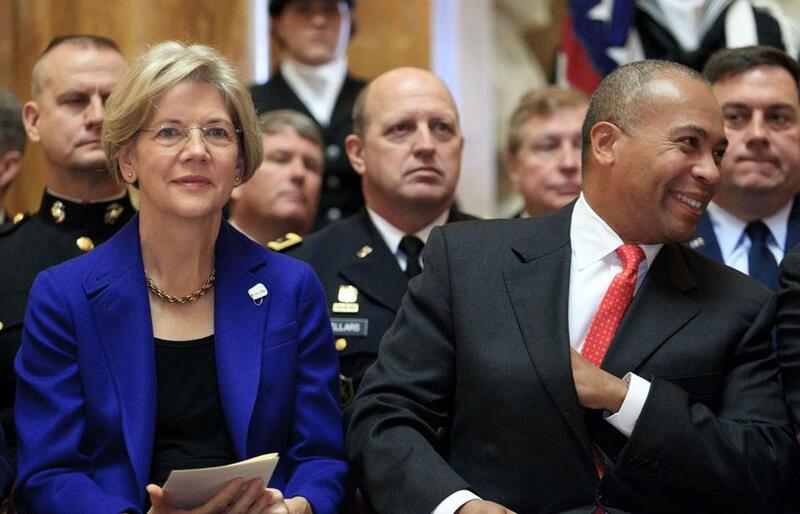 Senator Elizabeth Warren and former governor Deval Patrick both have advantages that could help them launch a national campaign. Massachusetts politicians have never been shy about having national ambitions. They have done disproportionately well at grabbing party nominations for president. When it comes to the 2020 presidential race, there are no less than three Massachusetts Democrats pondering runs. US Senator Elizabeth Warren has the name recognition and the fundraising prowess. Former governor Deval Patrick has the love of the Obama crowd. 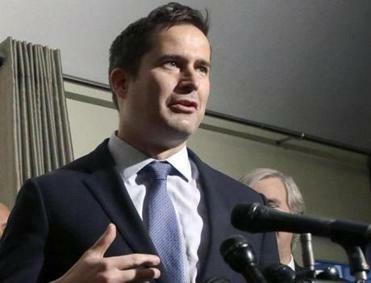 US Representative Seth Moulton has the war hero story and youth. The 2020 field could be immensely crowded. Along with the Massachusetts trio, New England has other Democrats thinking about a run as well: Rhode Island Governor Gina Raimondo, Connecticut US Senator Chris Murphy and, of course, Vermont US Senator Bernie Sanders. From John Adams to Mitt Romney, a Massachusetts resident has been the major party nominee for president nine times in American history. What are the chances that the 10th time will be in 2020? Let’s consider the pros and cons for Warren, Patrick, and Moulton. Pros: There are few Democratic politicians more well-known or well-liked than Warren. In fact, perhaps only Sanders bests her in these categories. She has a very strong national fundraising base, which she has already leveraged to raise hundreds of thousands for her Democratic colleagues and earn some political chits along the way. If she gets in, she would be an immediate top-tier candidate. Cons: Warren has never demonstrated that she is a great candidate. Sure, she defeated a Republican incumbent to get elected in the first place, but a Democrat winning in Massachusetts in the year when President Obama heavily won reelection doesn’t prove much. Some worry that Warren may have missed her moment to run by passing on the 2016 presidential contest. Her reelection campaign next year will be time-consuming, and she must show a solid margin of victory to bolster her argument that she can defeat an incumbent president. After all, if she only wins heavily Democratic-voting Massachusetts by seven or eight points, how can she convince voters she is the person who can win a swing state like Ohio? Democrats might be moving to the left toward Warren ideologically, but they also really, really want to beat Trump. Pros: If he does indeed have the backing of those in Obama’s orbit, as was suggested in a Politico story this week, then Patrick has an ability to get his foot in the door on a presidential race. His inspiring life story wowed Massachusetts Democrats in 2006, and his skills as an orator can impress on the stump or on a crowded debate stage. Obama remains a popular and a uniting figure in Democratic politics. That Patrick could be Obama 2.0 would be his best argument. Cons: Patrick is largely unknown nationwide, and it might be harder than he thinks to raise major national money that could help build up his name recognition. While Patrick might talk about how he got from Chicago’s South Side to Harvard Law School and the Clinton administration, much of his biography after that (corporate America and now his job at Bain Capital) will be way too Wall Street for a populist Democratic base. Even Warren could hit him on that. Then there is the fact that the reviews of his time as governor were mixed. And supporters of Hillary Clinton are upset that they believe Patrick didn’t do enough to help out her 2016 campaign. Pros: His biography and his fresh face are his biggest selling points. He is a war hero with three Harvard degrees. He is young and is willing to call out his own party’s establishment. At a time when Democrats have been critical of their own party, and others want more bipartisanship to get results, Moulton can argue he has been preaching both of those reforms. Cons: At 38 years old, he looks really young to be the party standardbearer. He also has a pretty thin political resume. While he has had impressive fundraising reports for a two-term Congressman, the numbers come nowhere near what he will need to raise to be even in the ballgame for a serious person running for president in 2020.